The T is for trendsetting. 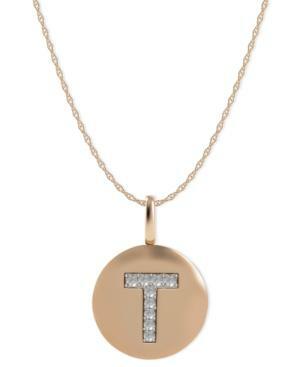 This 14k rose gold necklace, with a pendant adorned in single-cut diamond accents, makes a stunning fashion statement. Approximate length: 18 inches. Approximate diameter: 3/8 inch.